The AG-HMC150 offers outstanding versatility and an impressive feature set that makes it ideal for a wide range of applications. The camera uses a 1/3" three-chip CCD imager and comes standard with a 28mm, 13x wide-angle Leica lens. The new PH Record mode (21 Mbps) offers higher resolution with a host of recording formats including 24p. It also boasts, amazing low light performance, long record & battery time and professional Audio capabilities. The AG-HMC150 camera body is lightweight, rugged, and well balanced for superior reliability. 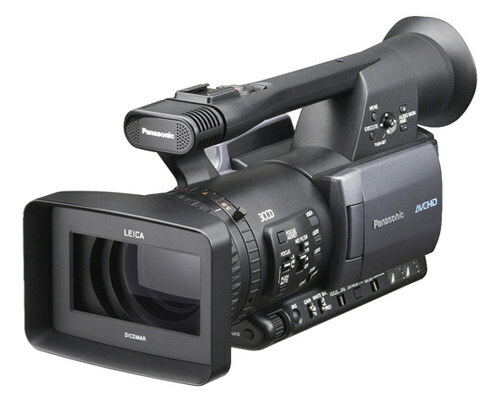 The HMC150 offers the all the advantages of tapeless HD shooting, such as reliable media, no-moving parts, non-linear access to media. It uses the latest compression technology (AVC High Profile) and widely available SD memory cards as its recoding media. The content recorded on the SD card can be played directly on a growing number of affordable consumer players, including select models of Playstation 3, Blu-ray players, plasma screens and PCs. With most NLE systems now supporting AVCHD, content can be edited and rendered to play in any type of SD or HD playback system. - Three User Set Buttons with 11 choices for customizing camera to shooter.